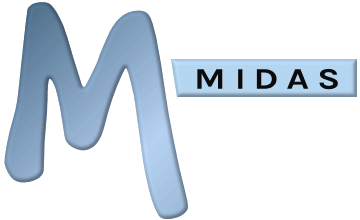 MIDAS supports a number of Keyboard Shortcuts to facilitate quick access to key areas of the software. The exact combination of keys you'll need to press in order to trigger these shortcuts varies between browsers and operating systems. For example, on current versions of Firefox, you can open the MIDAS help window by holding down Alt + Shift + h, whereas in Google Chrome, the combination is simply Alt + h. Please refer to your browser's documentation to determine the specific combination of keys to use to trigger these shortcuts in your browser.